Are you struggling just to make it through the day? 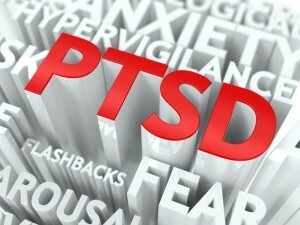 Living with PTSD is so hard! You have come this far and are more resilient than you think you are. I can help you with the next steps. You are not alone. Please take the time to read through this page. There are some things here that can help you regain your life! I specialize in helping clients go from surviving to thriving. If you think I am someone who can help you, contact me at (303) 444-2003. The human brain, body and mind have an amazing ability to heal themselves. Brainspotting (BSP) honors and celebrates that ability by providing access to trauma through one’s neurological system. As a Brainspotting therapist, I help you frame the issue, start the process of healing, and provide the safe container in which healing can occur. Brainspotting can help you access and heal the emotional, physical, cognitive, and, if desired, spiritual effects that trauma can have on you. Three sessions, and the initial trigger than was causing me so much pain is GONE… Sometimes triggers hit unexpectedly, but I have the tools to deal with them. Brainspotting is a tool to help you access the area where trauma is stuck in the brain. A Brainspotting treatment is non-verbal. Because trauma is stored in the non-verbal part of the brain, “talk therapy” cannot access it effectively. 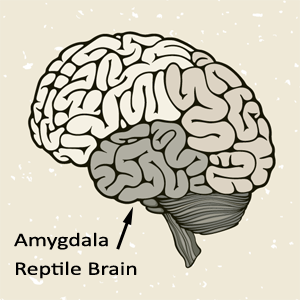 Trauma is stored in the part of the brain known as the amygdala. We have learned that by getting the brain to alternate between left and right hemispheres, the brain and body reprocesses information. In reprocessing information, the brain and body are able to clear the stuck energy from the trauma. Memories are not lost, but the “emotional charge” from the memory will be cleared. Information about research on the effectiveness of Brainspotting is on the Rocky Mountain Brainspotting Institute’s website. I will begin by explaining the brainspotting process and how it accesses and clears trauma. The client often wears headphones playing “biolateral” music/nature sounds that help with the reprocessing mentioned above. I help you find a spot in your field of vision (brainspot) that helps you access where the trauma/stuck energy is lodged in the brain. Together, we decide the “target” of the BSP. Then the clearing processing begins. If I ever find a tough nugget that needs more skill to break than I can muster, I’ll be back, but so far each layer seems easier to peel than the last. Suzie and I had been working together on some issues. That day, she came in and said she was being “triggered” by her daughter and was very frustrated. We decided to try brainspotting to help her with this issue. When I asked her what came up for her when she thought of being triggered by her daughter, she talked about an abusive episode with her ex-spouse. We used that as the target for the brainspotting. The next week, Suzie came in and said things were better with her daughter. At our session three weeks later, I noticed Suzie was no longer wearing the wrist and arm braces she’d been wearing for a long time (pain thought to be from repetitive motion and overuse in her job). When asked about his, she said she no longer experienced the pain in her arms and wrists. Joanne needed to use an electric wheelchair due to the pain from Fibromyalgia, Arthritis and automobile accidents. After our second session of brainspotting, Joanne left a phone message for me saying that she slept 6 hours pain-free without medication the previous night and was able to walk a block to the mailbox to get her mail. She said that she hadn’t been able to do these two things in a very long time. The benefit these women experienced from brainspotting are remarkable. While not everyone experiences help this profound, almost all of my clients have noticed a difference. I have personally trained with David Grand (originator and developer of Brainspotting). At this writing, I am currently one of a limited number of therapists in the world who have had this training. One of the basic premises of Brainspotting is that your brain, body and spirit knows what it needs to do to heal. Brainspotting honors that process.